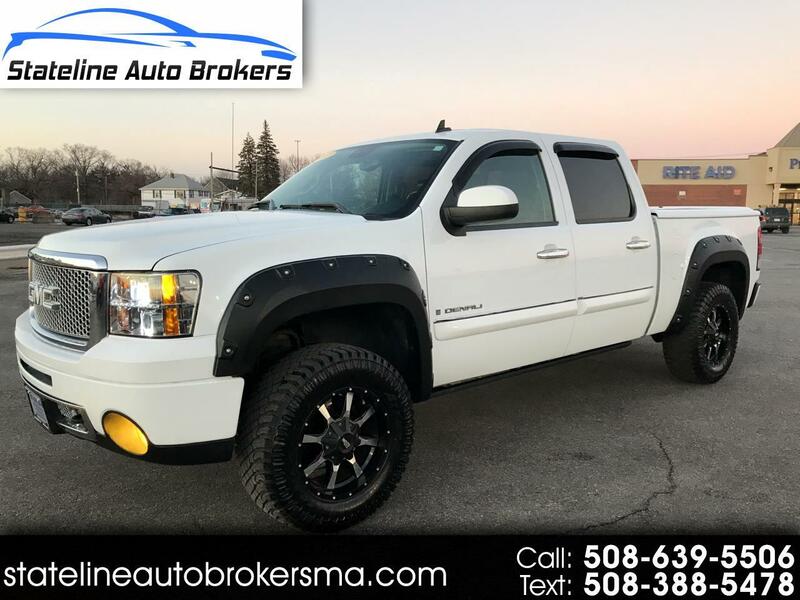 HERE COMES THE NICEST SIERRA DENALI AWD CREW CAB WITH DUAL HEATED POWER LEATHER SEATS, NAV/DVD SYSTEMS, POWER RUNNING BOARDS, MOONROOF, PAINTED FIBERGLASS TONNEAU COVER AND THE WHEELS AND TIRES SPEAK FOR THEMSELVES! IT HAS MANY UPGRADES AND IS TRUELY A MUST SEE TRUCK. 1ST TO SEE WILL BUY! SO HURRY DOWN FOR A TEST DRIVE! COMPARE TO OTHER PRICES. COME ON DOWN, BRING THE FAMILY. YOU WILL NOT BE DISSAPPOINTED! NO REASONABLE OFFERS WILL BE REFUSED. WE ARE HERE TO BUILD SOME GOOD RELATIONSHIPS AND SELL SOME CARS. MANY FINANCE OPTIONS ARE AVAILABLE. TRADE-IN'S ARE WELCOMED. We price cars to sell here at Stateline Auto Brokers. All cars sold here at Stateline Auto Brokers leave here fully serviced, reconditioned, inspected and warranteed. We offer extended warrantees up to 48 months and unlimited mileage. We have all kinds of finance options for your convenience. And remember, The Prices Were Born Here And Raised Down The Street! Message: Thought you might be interested in this 2007 GMC Sierra Denali.